Are you interested in Airbrushes? We just had a representative from Iwata come and teach the staff about airbrushes and we would like to share some of the information we learned. This information should give beginners a basic understanding of airbrushes. The following FAQs were provided by Iwata. Q: What is meant by dual-action and single action? 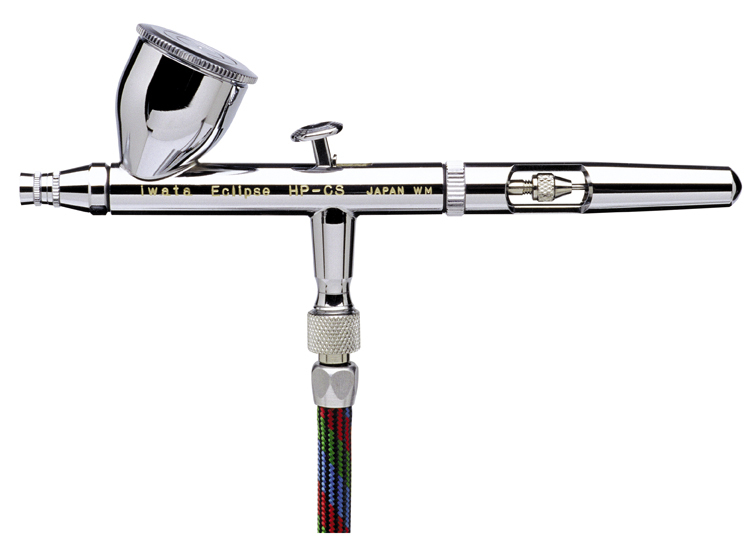 A: Most airbrushes are adaptable to three different tips--fine, medium, and heavy--to enable different size/volume sprays and airbrush materials of varying viscosity (thick or thin). When the tip is changed in an internal-mix airbrush, the needle must also be changed to correspond (fine, medium, or heavy).